Our board-certified physicians use the latest procedures when treating venous disease. As a result, our patients experience higher success rates, fewer complications, and a much lower rate of recurrence. It’s no wonder thousands of people have made IVC their first choice to eliminate their varicose veins. Click on the links to learn more about the different procedures offered by IVC. If you still have questions, feel free to contact us. 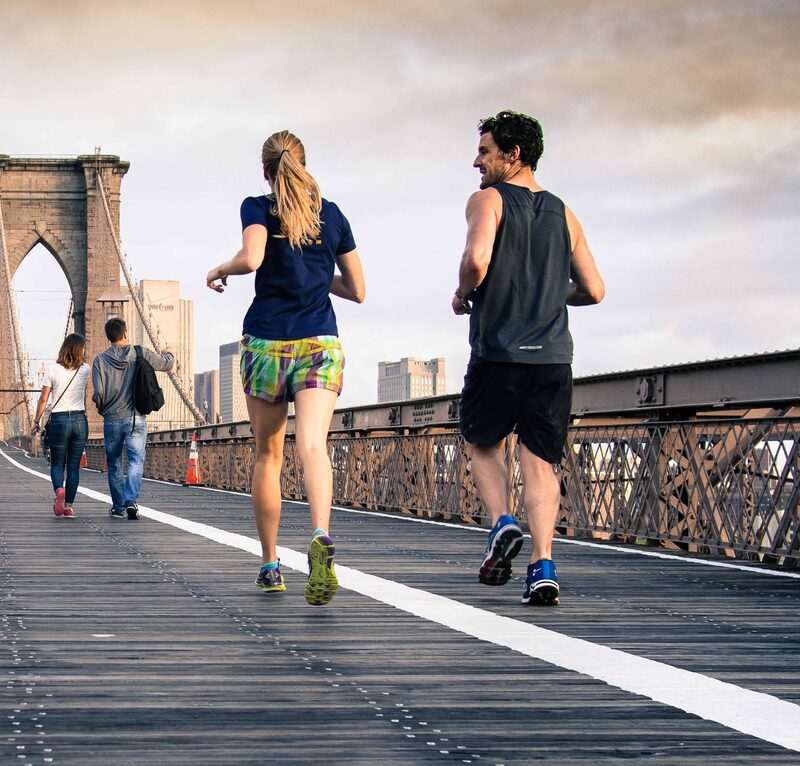 Endovenous thermal ablation is a procedure that uses a laser or high-frequency radio waves to create just the right amount of heat to shrink the vein. After the vein shrinks, the body automatically routes the blood through other, healthy veins. This procedure is generally performed on large varicose veins. Non-thermal treatments like ClariVein® and VenaSeal™ use methods other than heat to close large varicose veins. This allows the procedure to be performed without tumescent anesthesia. Insurance coverage for these procedures is limited. 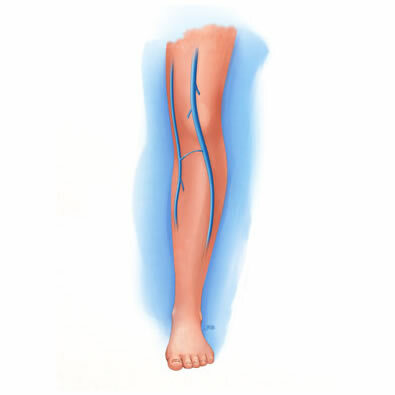 Ambulatory phlebectomy removes diseased veins through tiny incisions in the leg. 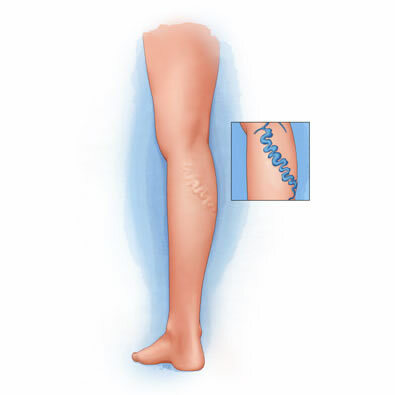 It is primarily used to treat large, painful varicose veins. Because the incisions are small, it leaves undetectable scars. You can generally resume your normal activities the same day. A pelvic ultrasound is generally performed prior to the venogram to exclude other potential problems with the ovaries or uterus. The diagnosis of PVI is then confirmed by a pelvic venography. 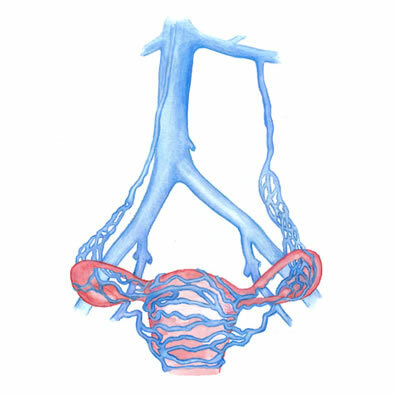 If indicated, a treatment called “embolization” can then be performed in order to relieve the abnormal pressure inside the pelvic veins. The venogram and embolization are performed on an outpatient basis and take about two hours. Sclerotherapy treats veins not visible to the naked eye, veins that make too many twists and turns for standard endovenous ablation procedures. 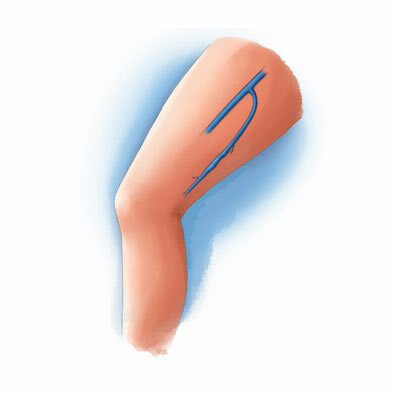 Sclerotherapy is an office-based procedure that involves injecting a sclerosing solution directly into the problem vein. Following treatment, you will be able to resume most normal daily activities, although you should refrain from strenuous exercise or heavy lifting for one week. You will also wear a compression stocking for one week post-procedure. Many patients experience mild discomfort, which is typically treated with Ibuprofen or Tylenol. If you choose, ice packs during the first 48 hours after treatment can help with any pain or inflammation. After 48 hours, moist warm compresses will aid the healing process. ®2019 IVC. All Rights Reserved.